Adderall misusers and abusers represent a broad societal trend that is endemic to the American psyche. We are a nation obsessed with the pursuit of material gain in the belief that accumulating wealth will bring emotional contentment. Adderall misusers and abusers represent a broad societal trend that is endemic to the American psyche. We are a nation obsessed with the pursuit of material gain in the belief that accumulating wealth will bring emotional contentment. And we so heavily prioritize achievement that we have ingrained into our culture an acceptance of performance-enhancement in the name of success. Although doctor-prescribed amphetamines have fueled previous waves of abuse, this time is different. 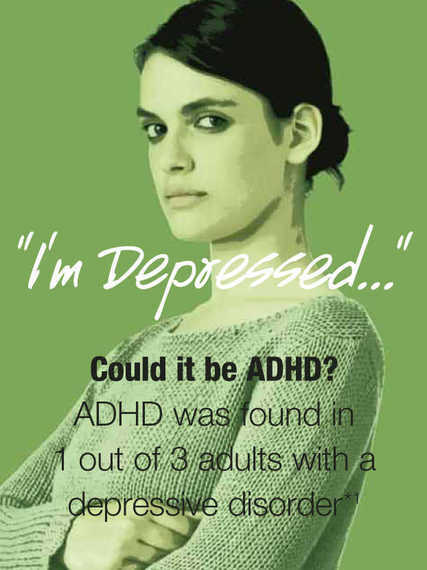 Instead of starting with drugs used for depression, weight loss or alertness at war, the Adderall epidemic targets a deeper cultural phenomenon -- an infatuation not with ADHD, but with what I call AAD: Achievement Anxiety Disorder. Given our country's declining position as a global economic empire, along with a widening gap between the 1 percent and everyone else, Americans must now work harder and make more money just to maintain the same standard of living our country enjoyed 30 years ago. And while the U.S. has produced astounding successes and accomplishments, that history has left many Americans doubting their own abilities, striving to do more, and turning to drugs to cope. A once-personal struggle for self-acceptance and success has turned into contagious angst about a collective failure to live up to our dreams. Today's millennial generation is the first group of Americans since World War II who will not live as well as their parents did. Our young Adderall addicts are the stark casualties of this broken cultural norm that makes happiness impossible to achieve. Even Adderall "success stories" are worth scrutinizing, as the long-term benefits of prescription stimulants are dubious and probably non-existent. Although it may appear that many users accomplish a great deal with help from the drug -- at least at first, a closer look reveals deep dysfunction within a culture that is obsessed with performance. A multi-billion dollar medical-pharmaceutical industrial complex incessantly exploits that obsession. One typical full-page national magazine ad features a striking young man, an athlete named Shane, holding a baseball bat. "I didn't outgrow my ADHD. That's why I'm telling my story," the caption reads. "If you had ADHD as a kid, you may still have it." Then comes the kicker: "It's your ADHD. Own it." The advertisement was funded by the manufacturer of Adderall and Vyvanse and supported by the leading "self-help" organization for ADHD, which gets much of its funding from drug companies. Another ad for Vyvanse shows a picture of a slim and smiling woman with a tape measure around her neck, standing next to a purple dress that's marked with a "SOLD" tag. Presumably, she was focused and organized enough to design this garment, to make something of herself. "This is what successful ADHD management could look like," reads the caption, which sits between her head and a $50 coupon for the drug. It appears that, as with alcohol, most people can use these drugs without abusing them or developing an addiction. Still, I believe that we, as a nation, should know what we are getting ourselves into. And people who feel they need Adderall to get through school or work need to ask themselves some tough questions about the values and fears that lead them to medicate. Their answers may lead to difficult but important choices about what kind of life they intend to pursue. In warning that the U.S. ran a risk of becoming a nation dependent on stimulants, Running on Ritalin was 18 years ahead of its time. ADHD diagnoses, prescription stimulant use and addiction to prescription amphetamines all continue to escalate. We cannot escape our attraction to Adderall until we question our society's values and ideals. Instead of waiting until we've past the breaking point we must question our relentless pursuit of performance at all costs and instead learn to accept our strengths and weakness, both individually and as a society. It has been more than 80 years since America began its love affair with amphetamine. With each wave of prescription-stimulant abuse among adults -- whether it began with treatment for asthma, depression or weight loss -- we've seen an alarming number of victims surrender to abuse and addiction. Each time, the costs have outweighed the dubious long-term benefits of treatment with medication. From my vantage point, after nearly 20 years of worrying about and reporting on the latest spike in stimulant use for treating ADHD in children and adults, I've wondered what it will take for America to finally say, "Enough!" How many young people need to suffer and even die before we call off the wholesale distribution of Adderall? How long are we willing to put up with multiple drug addictions as a socially acceptable coping mechanism for life's challenges? The last doctor-prescribed amphetamine epidemic ended with a convergence of efforts by feminist social critics, an aggressive FDA that eliminated the use of the drug for use as a diet aid and placed drugs like Adderall under stricter control. A wave of malpractice suits and revoked doctors' licenses curbed prescription writing. Today's addiction crisis offers new challenges, as the power and influence of 1970s drug companies pale in comparison to the current Fortune-500 mega-corporations that earn billions of dollars in profit from the legal sale of speed. Meanwhile, the tally of misusers and abusers continues to grow. Here is our wakeup call. I am convinced that, as evidence builds, it will become clear that prescription amphetamine use does not offer long-term benefits for what we are calling ADHD in adults, just as it failed to live up to the hype for other conditions in the past. In the meantime, governmental agencies (such as the DEA, FDA, and NIDA) need to step up their vigilance and enforcement of existing laws that regulate the distribution and use controlled substances like Adderall. Well-publicized raids of physicians acting as Adderall mills would send an important message to cavalier doctors who pass out prescriptions like waiting-room lollipops. Arrests of students who sell or give away Adderall would change the attitude of carefree impunity and the open bazaar-like atmosphere that currently exists around exam time on many campuses. Trial lawyers are no doubt beginning to sniff the potential payoff that would come from suing physicians whose patients became addicted to the drug under their care. These lawsuits and the attendant negative publicity would go a long way towards admonishing doctors for misusing their privilege to prescribe Adderall. There are solid historical reasons why drugs like Adderall were placed under restrictive control 40 years ago. As a society, it seems we have forgotten that history. To chronicle one of Adderall's casualties offers a poignant opportunity to remember the past and, this time, to learn from it. The United States of Adderall cannot continue forever. We need to find a new balance between achievement and an acceptance of individual differences. Our young people, like Amber, depend on us. We must change, for if we do not, the cost will simply be too high for them and for us.